Affirmation: I am at peace. All is well in my life. I am grateful for my ability to stay focused on what is truly important. About the stone: Silicon dioxide formed into microcrystalline quartz with synthetic blue color enhancement. Spiritual uses: Use this stone to integrate grounded meditation experiences into your practices. 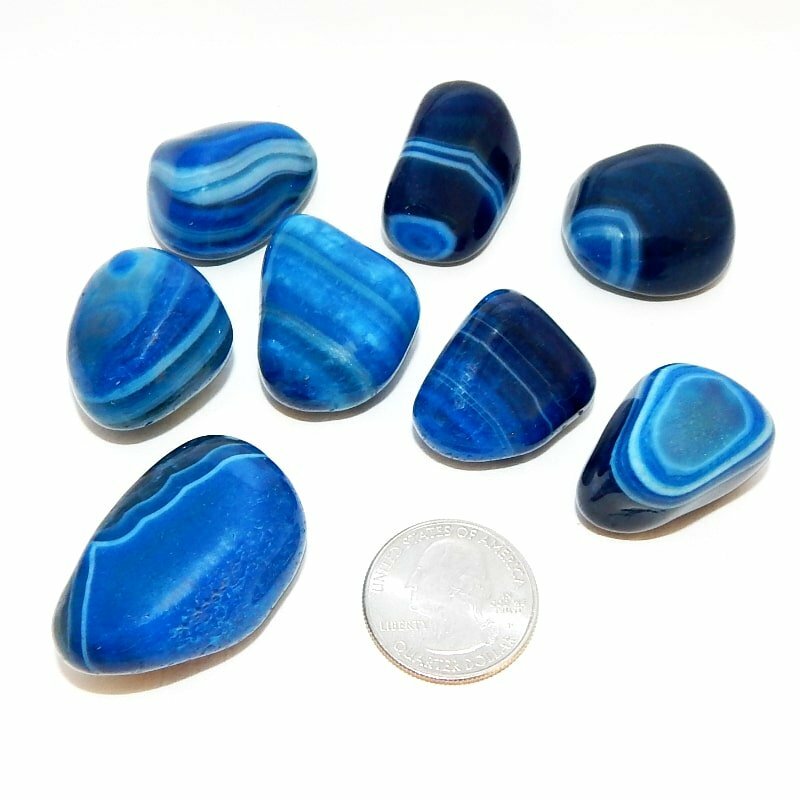 This agate, which is often attractive to children, helps provide calm, grounded experiences for children’s spiritual activities. Mental uses:. 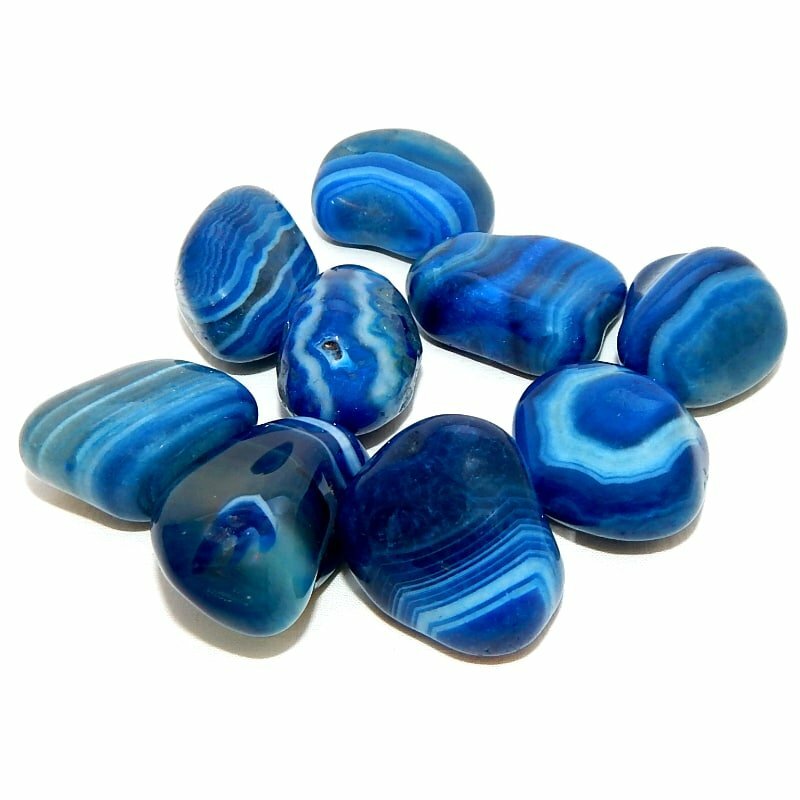 Blue-dyed agate is useful for gaining insight and clarity. 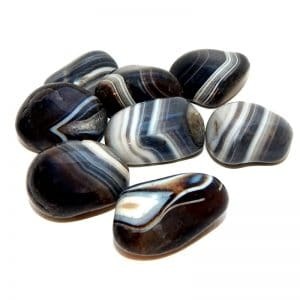 Emotional uses: This stone will calm any inflamed emotions you may be experiencing. 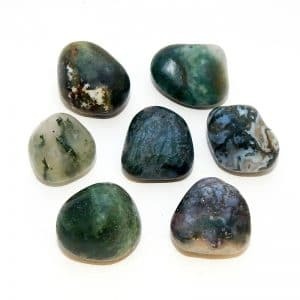 Physical uses: If you tend to become angry easily, this stone can remind you that everything is okay at the deepest level.